Does your application call for a durable thin section bearing for use in severe environments? Silverthin supplies thin section bearings made from stainless steel and 52100 steel plated with nodular thin dense chrome (TDC). Stainless steel bearings maintain their strength in high temperature applications. TDC offer great properties in corrosive surroundings because the bearings will not crack, chip or peel. For more Thin section bearing overview information, click here. 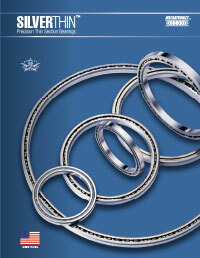 For Thin section bearing application information, click here. 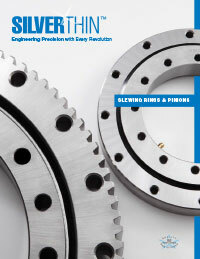 Please contact Silverthin for more information.